According to a press release distributed by Niantic earlier today, Pokémon Go is getting two big features this summer: The ability to connect with friends, and the option to trade Pokémon. These options will add a significant social element to a game where "player interaction" currently means glowering a member from an opposing Team as they flip the Gym you worked hard to capture. Players who want to be friends will need a friend code to connect. Once you're bound forever, you can team up to take down Gyms and participate in raids. You can also send gifts to friends remotely. Continued exchanges with your buddy will eventually forge a "Best Friend" status between you. Hopefully there's an option to send a spurned friend a meme picture about how your "friendship with Mystic has ended, Valor is my best friend now." "'GONIATRAINER has sauteed and eaten Magikarp.' Wow, we can do that?" Pokémon trading is also finally (finally) coming to Pokémon Go. Registered friends can trade with one another, but they need to be within close physical proximity to do so. 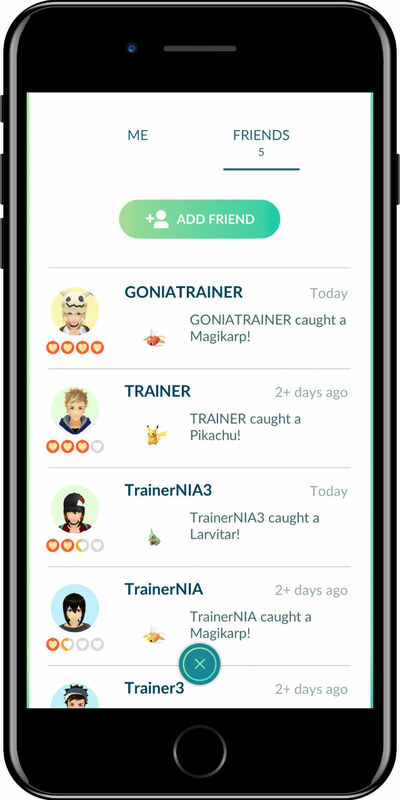 Your friendship level plays a role in what you can trade, however: Higher friendship levels are needed to trade shiny Pokémon, region-exclusive Pokémon, and Legendries. These new features are coming "soon;" the press release suggests they're being rolled out along with the Pokémon Go 2018 Summer Tour, which starts in Germany on June 30. Keep an eye on our Pokémon Go Trading Guide for more info.